Now let&apos;s practice the lessons learned in this chapter about of conditional statements if and if-else. We will solve a few practical exercises. Watch the following video to summarize what we learned in this chapter: https://youtu.be/mdv28HD5qes. 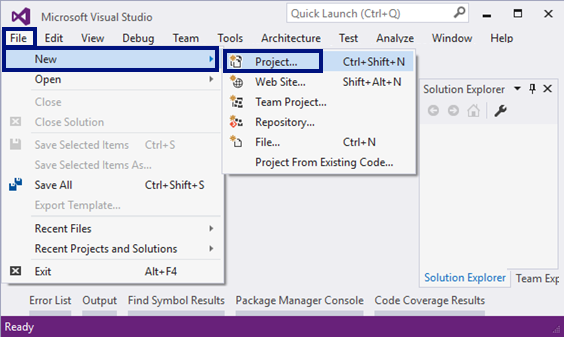 At the start we create a Blank Solution in Visual Studio to organize better the task solutions from the exercise – each task will be in a separate project and all projects will be in a common solution. 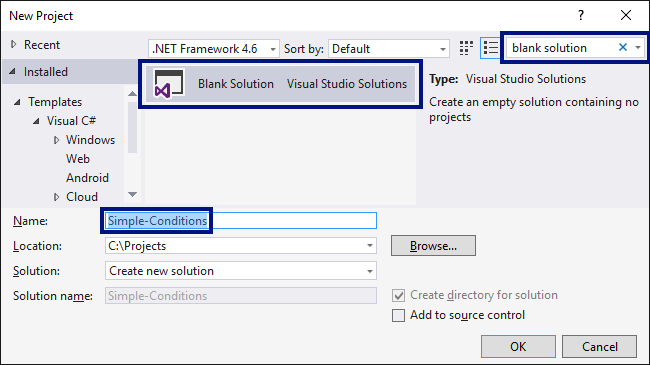 We run Visual Studio and create a new Blank Solution: [File] -> [New] -> [Project]. 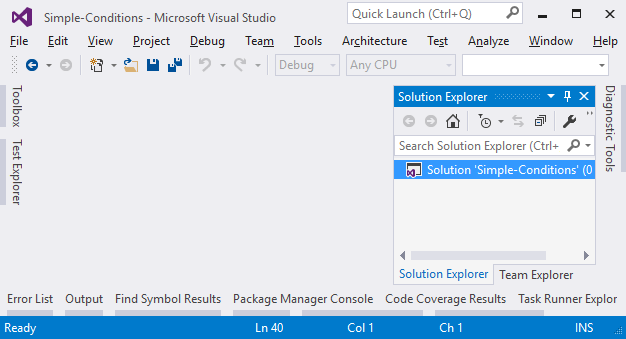 We will use this solution to create a separate project for each of the problems, which we will solve as exercises in this chapter.